Looking to increase seed germination results? Or, looking to increase root growth of turfgrass, trees, shrubs or ornamentals? Then Holganix Prebiotic 2-10-20 is the product for you! Holganix PreBiotic 2-10-20 contains a rare combination of high-quality phosphorus and potassium ingredients, layered with a long chain poly-amino-acid and molasses. The combination of ingredients is designed to increase root growth and seed germination directly through the use of nutrients, and indirectly by increasing nutrient uptake and by supporting the soil microbes in the soil. 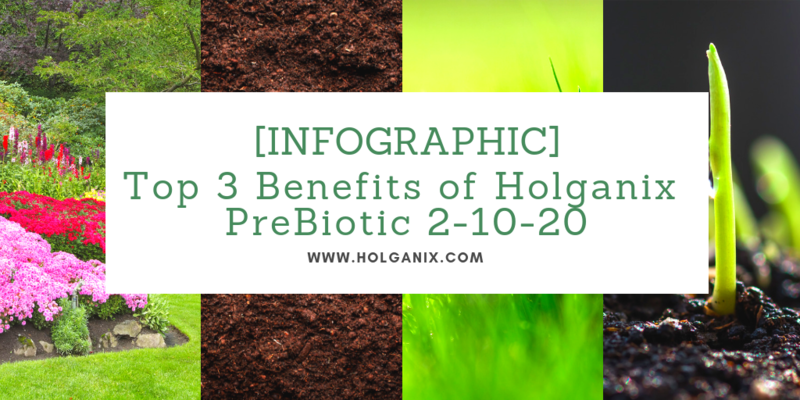 Check out our infographic below on the top 3 benefits of using Holganix PreBiotic 2-10-20, or skip the infographic and read the written article instead. "I would Recommend Holganix PreBiotic 2-10-20"
“Holganix PreBiotic 2-10-20 helps us boost seed germination during aeration and overseeding applications,” says Justin Johonnett of Vivid Lawn. Want to learn more about Holganix PreBiotic 2-10-20? 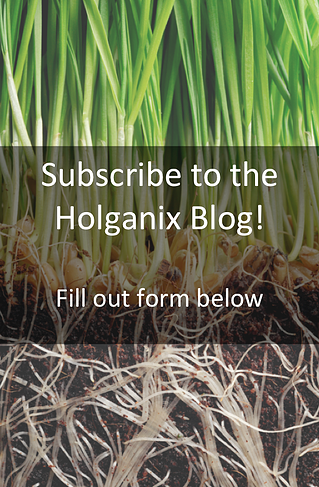 Download our Holganix Soil Smart Program to learn how to use Holganix PreBiotic 2-10-20 in a turf fertilization program for your region. Or skip the Soil Smart Program and click the links below to access our technical information.